A group of crocodiles in water is called a float, and a group on land is called a bask. They are masters at hiding in water and waiting for an unlucky animal to wander by. 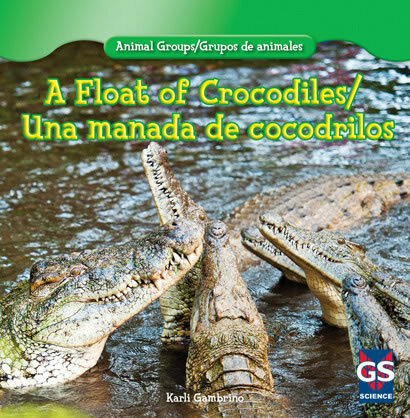 Bilingual readers will discover that crocodiles are intelligent and social animals that communicate in many ways. Presented in English and standard Latin-American Spanish, this narrative is paired with up-close photographs of the fierce reptiles in their natural habitat to show what life is like in a float of crocodiles. A helpful graphic organizer allows readers to independently explore the fascinating lives of these amazing animals.